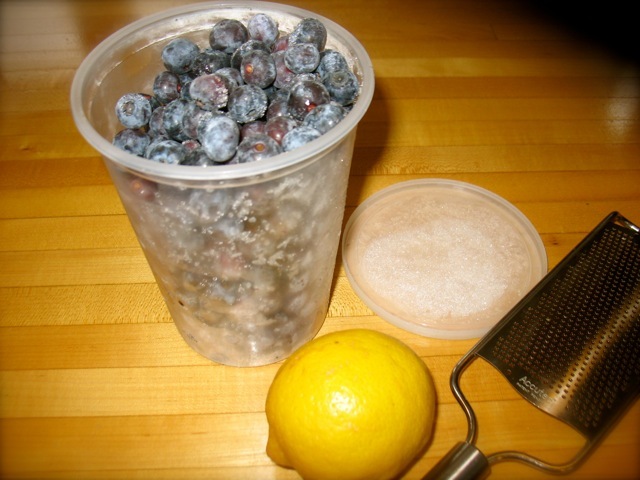 Blueberries and lemon zest are a wonderful combination. I neglected the blueberries in this weekend’s version but I’ll have another opportunity soon thanks to the breakfast tyrant. 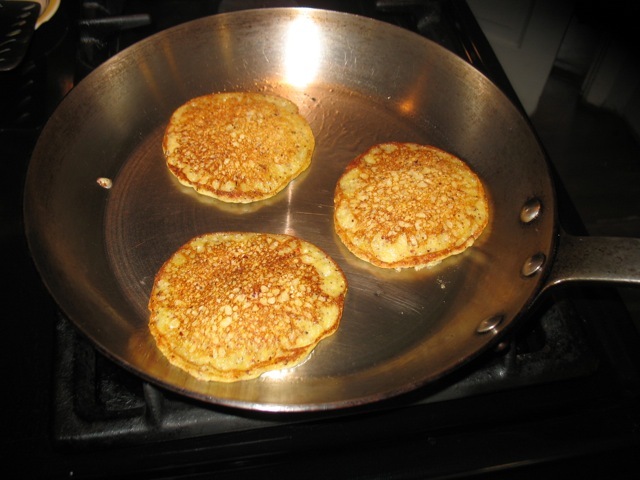 They are a bit thinner than regular pancakes and they are best with a medium to coarse grind of corn meal and even better if the corn meal is fairly fresh. We happen to be fortunate enough to have a local farm (several now actually) who sell freshly milled grains. 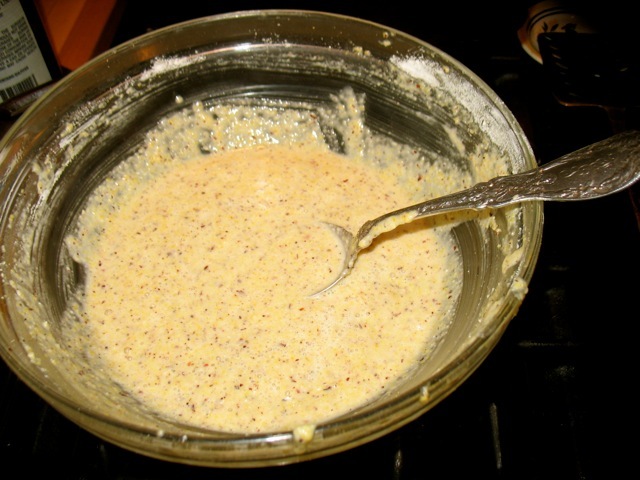 A commercially available medium grind corn meal or polenta work well too. The corn meal is mixed with boiling water and gets to sit for 10 minutes which softens the crunch. One of the corn meals I buy is called Roy’s Calais and has beautiful reddish flecks in it. 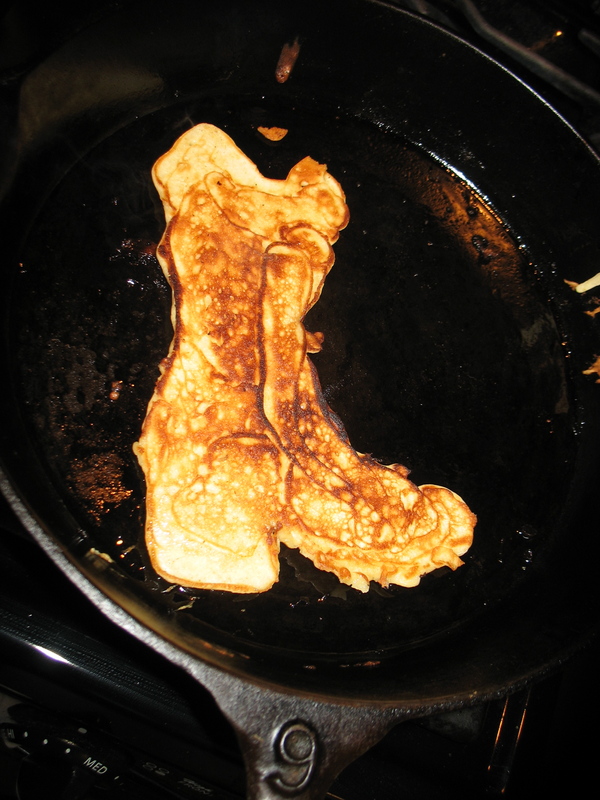 Cowboy boot pancake–hard to flip but very fun.